CEID’s European Café on December 5th (Is the EU still attractive?) 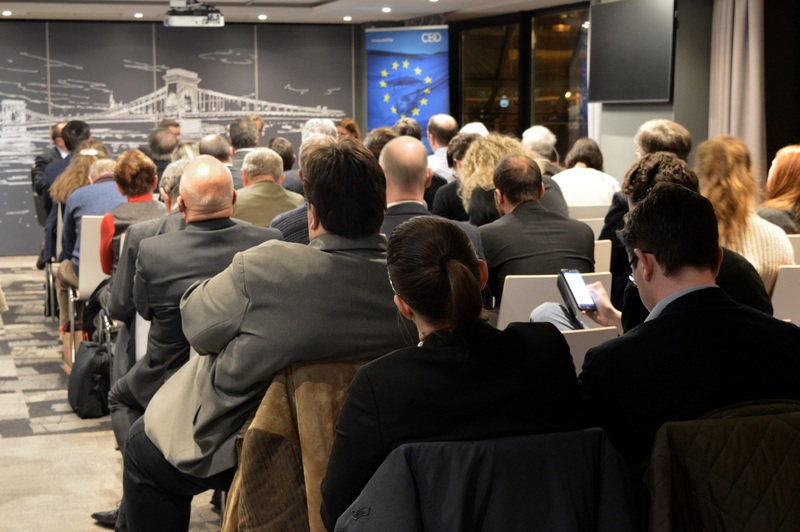 presented a wide range of opinions regarding the outside and inside perception of the European Union, and the chances of enlargement. 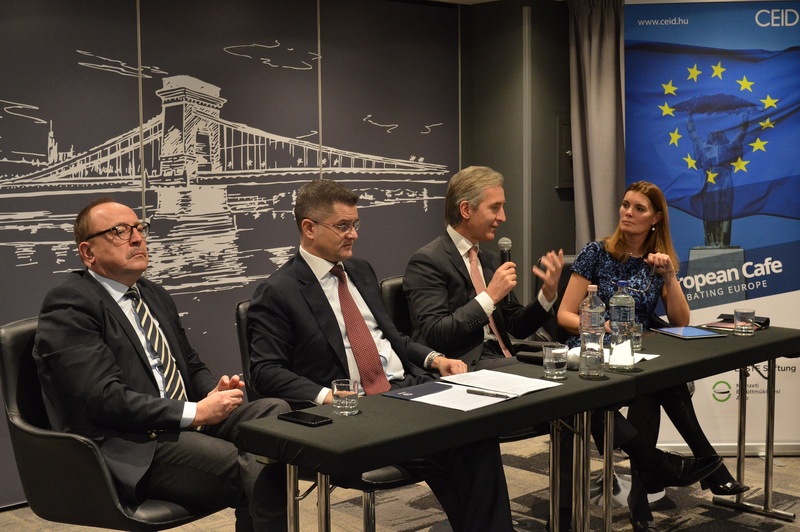 The panel discussion featured Mr Iurie Leanca, Deputy Prime Minister for European Integration of the Republic of Moldova, Mr Vuk Jeremic, former Minister of Foreign Affairs of the Republic of Serbia and Mr Zsolt Németh, Chairman of the Hungarian Parliament’s Foreign Affairs Committee. 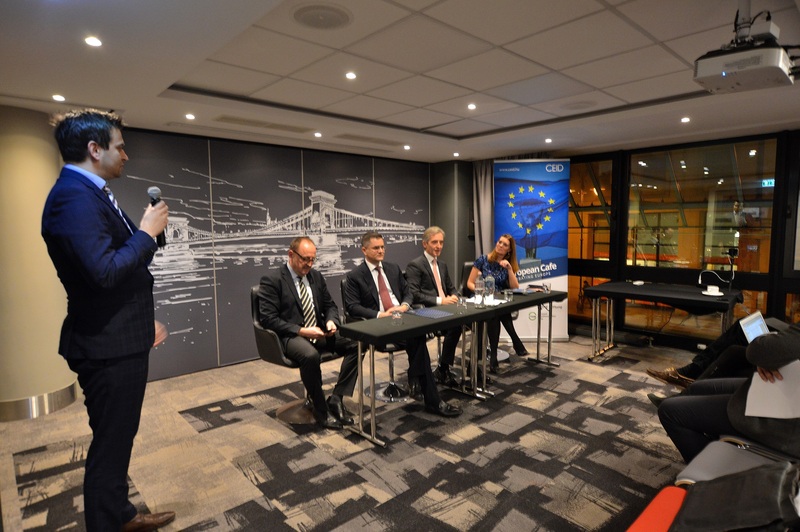 The overall impression of the debate was that the politicians of the non-EU-member states (Serbia and Moldova) seemed far more pessimistic about their European accession perspective than the representative of Hungary. Mr Leanca was emphasizing the two uneven sides of the equation in terms of the relations of Moldova and the EU, mentioning that despite the approval rates of the Union being constantly high within the society in the past years, seldom has any high ranking EU official visited the country, nor has the prospect of membership candidacy been offered to Moldova. Mr Jeremic was talking along the same lines, pointing out that contrary to Moldova, EU Commissioners have been visiting the Western Balkans too often without any tangible results. By drawing up the example of Turkey, the former Serbian Foreign Minister underlined the importance of „talking straight and openly” by the EU, namely that Brussels should react somehow to the increasingly authoritarian tendencies in some countries of the region. 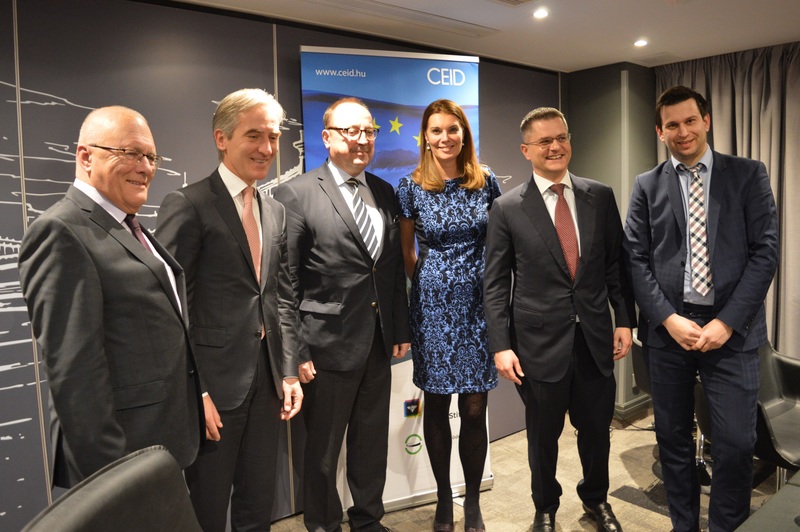 Mr Németh hit a more optimistic tone, and reminded everyone that the enlargement of the European Union could inject a substantial economic impulse to the region but also to the economies of the neighboring countries. 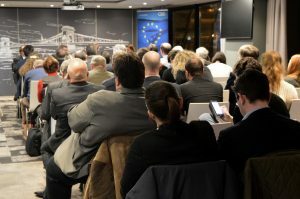 The Chairman of the Foreign Affairs Committee also said that the Central European region is the most important partner when it comes to enlargement because of the common history and the intensity of economic relations, while stating that „not only the Western Balkans, but the EU needs enlargement as well”. In terms of the current geopolitical situation, the presence of Russia and China adds a spe cial urgency to the arguments about enlargement. Mr Jeremic reminded that there was a very slim chance that the importance of Russia would decline in the future. With China we can see yet another player that has entered the region and aims to be there for the long run. In the case of Moldova, the Chinese influence cannot be felt that much, and even though there would be a willingness from the Moldovan side, „it is very difficult to do business with China”. On the other hand, the Russian presence is more direct, as lately Russian military maneuvers in Transnistria, allegedly „only for defensive purposes” have become almost a daily routine. As almost 180 000 Moldovans are working in Russia both legally and illegally, President Dodon has promised them that if they go home to vote during the general elections next year, they will be granted the right documentation. Mr Németh completely agreed with the notion that – in the light of rivals appearing both in the Western Balkans and in the countries of the Eastern Partnership – the EU should speed up the accession of these countries instead of being „negligent”, though unfortunately this consideration is not yet on the table in the Union. He worried that if the debate about deepening or enlargement is prolonged, by the time the EU gets to the right understanding about the Western Balkans, it might already be too late. During the Q&A part, Mr Leanca made it clear that his government completely understands the worries of the EU for not wanting a „second Cyprus” (referring to the problems of Transnistria), but an encouraging sign would be at least granting a membership candidacy to Moldova. In terms of bilateral conflicts, Serbia is not in an easier situation, as there are still hidden wounds with Croatia, Bosnia and Albania, and a more open one with Kosovo. Mr Jeremic recalled the developments of 2008, when he advised European leaders against a unilateral recognition of Kosovo, warning that it would cause problems 10 years later. Concerning the news about a possible Kosovan army and the land-swap plans of Mr. Vucic, he reminded everyone that it was very dangerous to play with fire, especially in the Balkans. Nonetheless, he expressed his hopes that both Serbia and Kosovo would approach the problem constructively and by respecting each other’s opinions, red lines and considerations. Answering a question about the potential EU-accession of countries with Muslim population (Albania or Bosnia), Mr Németh suprised many when replying that the Hungarian government sees no threat in the indigenous Muslim populations of the Western Balkan countries, should the enlargement become economically viable.